This image depicts how a new Sarah Mildred Long Bridge would look when complete. The Interstate Route 95 Pascataqua River Bridge is in the foreground, the Sarah Mildred Long Bridge is in the middle and the Memorial Bridge is at the top in this 2010 photo. 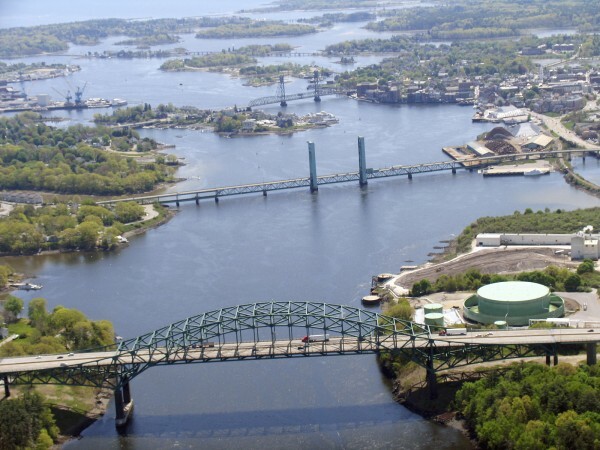 KITTERY, Maine — The Maine and New Hampshire departments of transportation announced on Thursday morning that they have agreed with Pittsfield-based contractor Cianbro Corp. on a tentative price to replace the Sarah Mildred Long Bridge. The settlement on a $158.5 million construction price was described in a Maine Department of Transportation announcement as a “major milestone” in the process of replacing the bridge, and one that likely clears the way for a late 2014 start to the project. 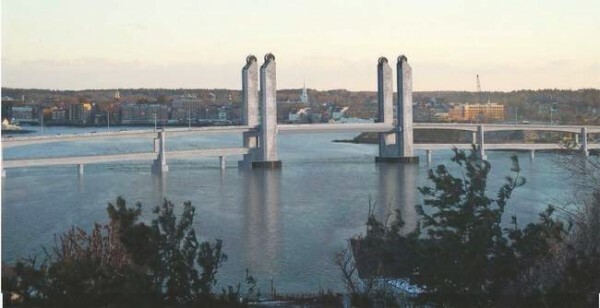 The Sarah Mildred Long Bridge — which carries a railroad line as well as the Route 1 roadway for cars and trucks — is considered a key supply line for Portsmouth Naval Shipyard in Kittery as well as the only backup for the nearby Interstate 95 bridge, which is used to transport what the MDOT called “a high percentage of the state’s gross domestic product” into Maine. Earlier this month, members of Maine’s congressional delegation announced that the U.S. Department of Transportation would award the two states $25 million in grant money to replace the railroad component of the bridge. Using input gathered from public meetings in Kittery and Portsmouth, as well as the shipyard and nearby Albacore Park representatives, bridge designers from the engineering team of FIGG/Hardesty & Hanover drew up plans for a new structure with long, open spans, using 11 fewer piers than the current bridge. The nearly 75-year-old Sarah Mildred Long Bridge stretches more than 2,800 feet across the Piscataqua River. About 16,000 vehicles pass over the bridge every day. In April 2013, a 473-foot Portuguese oil tanker, the Harbour Feature, got loose from its moorings nearby and crashed into the bridge, causing significant damage. The states of Maine and New Hampshire, which co-own the bridge, subsequently sued the ship owners and settled the lawsuit for $1.5 million.